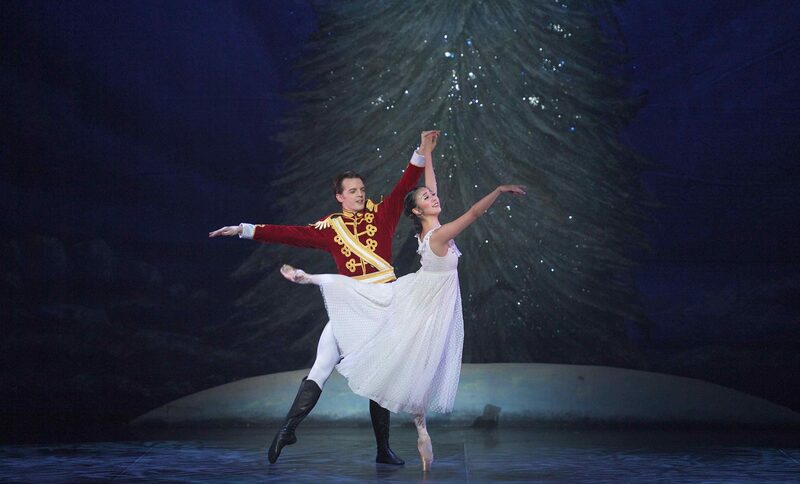 Dancing Peasant pas de deux in Giselle and dancing at NBT’s 40th Anniversary gala representing English National Ballet. 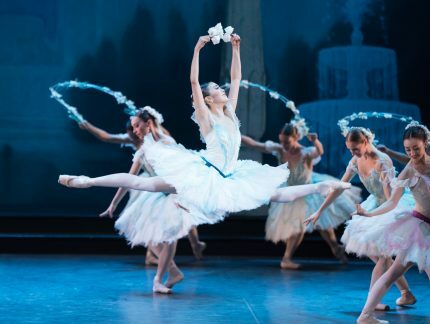 Other roles include Medora and Gulnare in Le Corsaire and the leading role of Swanilda in Ronald Hynd’s production of Coppélia. Autumn 2014 she made her debut as Odette/Odile in Swan Lake. June 2016 being promoted to Principal on the stage of the Palais Garnier, following the final Parisian performance of Le Corsaire in Paris. Won third prize in the 2006 Youth America Grand Prix and was the winner of the 2011 Emerging Dancer Award. 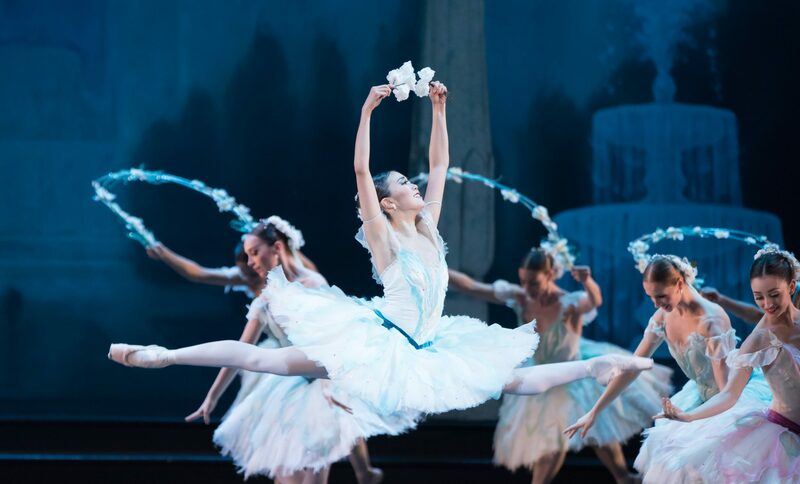 Shiori won the Gold Medal at the 2014 USA International Ballet Competition. Her dancing is beautifully accomplished – speedy and dazzling in her intricate solos. 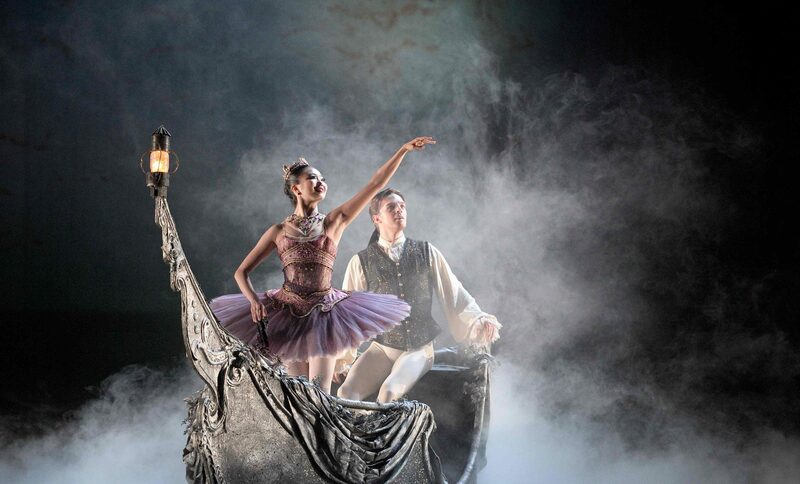 James Streeter as Carabosse and Shiori Kase as Lilac Fairy in The Sleeping Beauty © Laurent Liotardo. 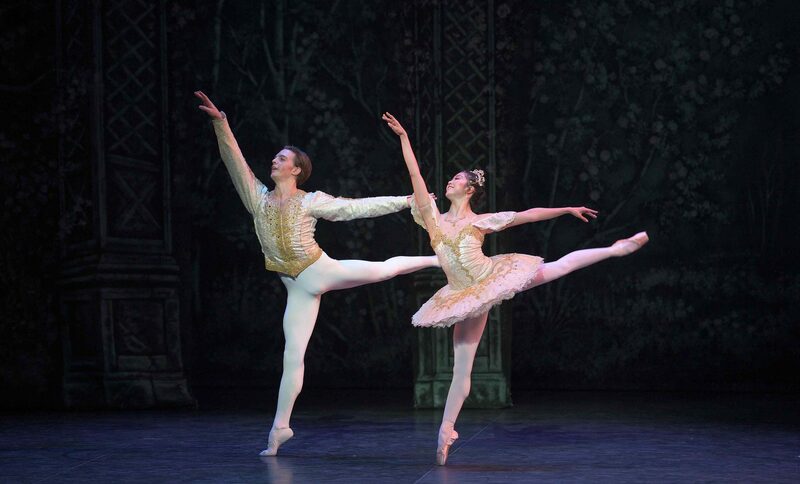 Shiori Kase as Lilac Fairy and Joseph Caley as Prince Desiré in The Sleeping Beauty © Laurent Liotardo.